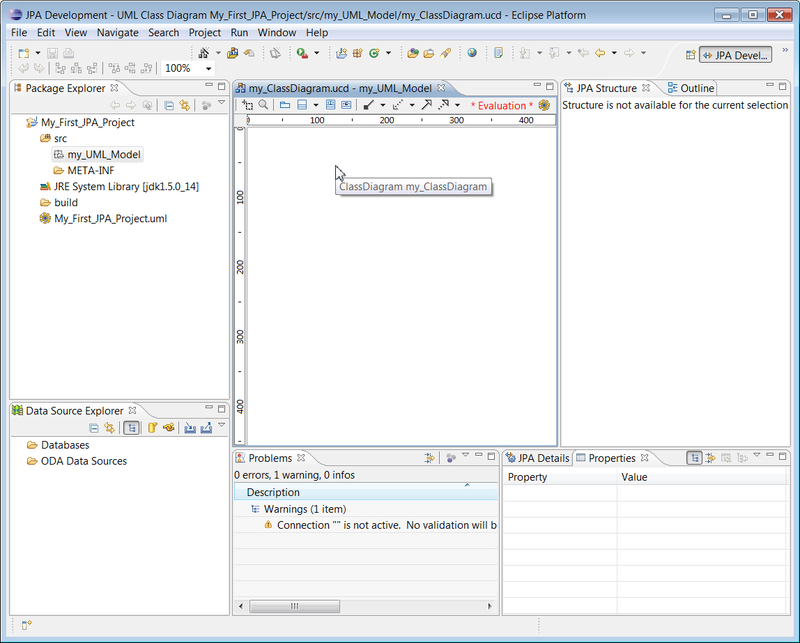 EclipseUML 2008 could be directly activated inside the JPA Perspective. We recommend using Dali and JPA Perspective with EclipseUML, and not only the modeling perspective, in order to take the full advantage of the tight UML integration within Eclipse with JPA. 1. 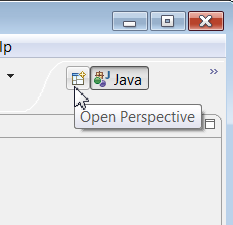 To activate the JPA perspective you need to click on the Open Perspective icon in the upper right corner of Eclipse. 2. 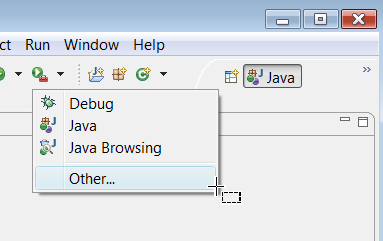 Immediately after the click on the OK button, Eclipse switch to JPA Perspective. 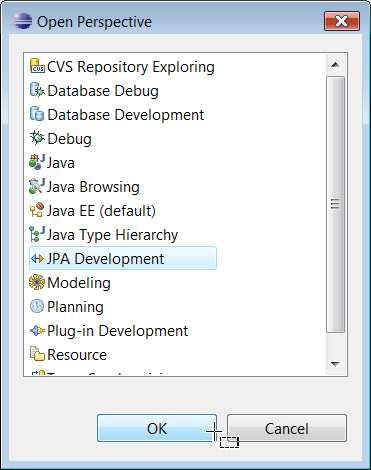 Go in the Package Explorer and create a JPA project, then add a package to your src in order to activate the class diagram creation. You can not create class diagram if you don't create a package. You Class Diagram has been created inside the JPA Perspective. 3. In order to activate the Database preferences inside EclipseUML, click on the class diagram backgorund and select Persistence Development > JPA. And the class diagram contextual menu New > JPA is now available.